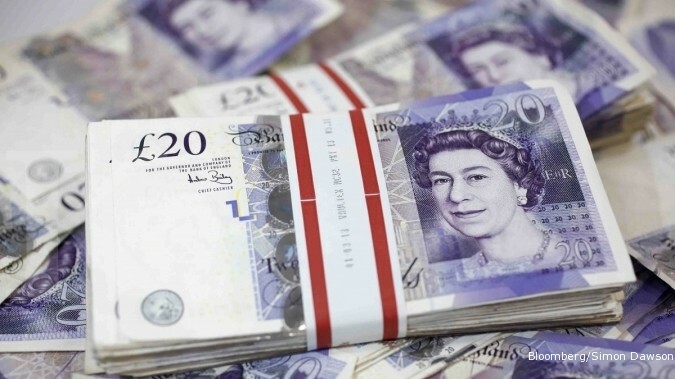 The GBP/USD pair met with some fresh supply on Thursday and extended previous session's retracement slide from three-week high level of 1.3175. With investors looking past the latest Brexit optimism, a report, via the Sun, saying that the UK PM May could ask for more time to cut a Brexit deal with Cabinet, exerted some fresh downward pressure on the British Pound. The selling pressure aggravated further on the back of resurgent US Dollar demand, which got an additional boost after the Fed maintained its hawkish stance with an upbeat assessment of the economy and indicated further gradual rate hikes in the future. The downfall seemed rather unaffected by some optimistic comments from the UK Foreign Minister Jeremy Hunt, saying that Brexit negotiation is in the final stage and that I am confident that we will reach an agreement. Bearish traders even shrugged off reports saying that a full withdrawal agreement could be published as early as next Tuesday, while other headlines suggested that a deal will be reached within three weeks. The pair tumbled over 100-pips intraday and the selling remained unabated through the Asian session on Friday. Currently holding just above 50/100-day SMA confluence support, market participants now look forward to the release of prelim UK Q3 GDP growth figures, along with industrial/manufacturing production and trade balance data for some fresh impetus. This coupled with any fresh Brexit-related headlines and the scheduled release of prelim Michigan Consumer Sentiment Index for November from the US might further assist traders to grab some short-term opportunities. From a technical perspective, the pair's recent up-move stalled ahead of an important descending trend-line resistance, extending through monthly highs set in June, Sept. and October. A follow-through weakness below the mentioned confluence support, currently near the 1.3030 region, might negate prospects for any further near-term positive move. The slide might turn the pair vulnerable to break through the key 1.30 psychological mark and head towards testing weekly lows support near the 1.2965 level. On the flip side, the 1.3100 handle now becomes immediate strong resistance and is followed by the 1.3125-30 supply zone. 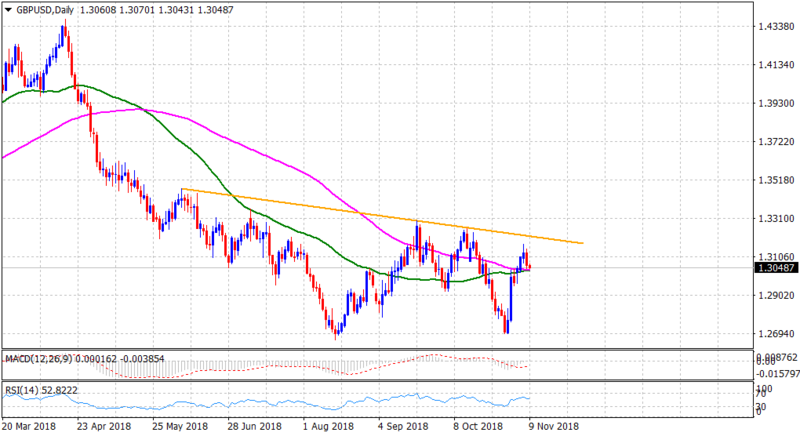 A follow-through buying interest might now help the pair to surpass the 1.3175-80 intermediate resistance, and the 1.3200 handle, towards testing the trend-line resistance, currently near the 1.3220-25 region.